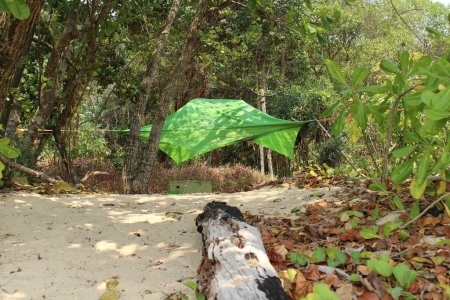 The hanging tentsile beach tents are set up in the trees right on the beach. 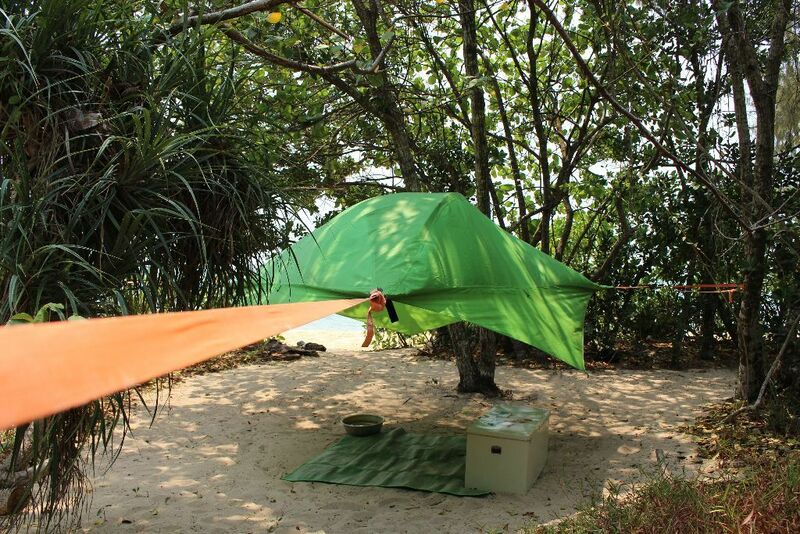 These tents offer spectacular views of the ocean and the sunset right from your front ‘door’. 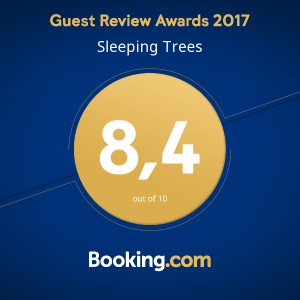 To add to the experience, the sounds of the ocean at your doorstep and the gentle cool ocean breezes are a perfect way to fall asleep or wake up! 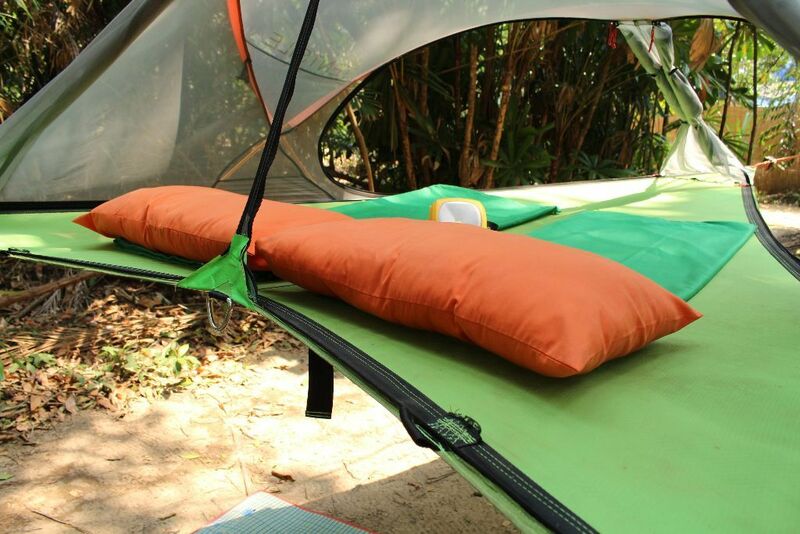 The breeze gently rocks the hanging tent, hammock style. Its like being back in the womb! 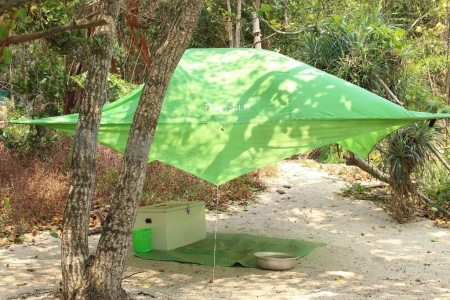 Each tent comes standard with a mosquito net, and a rain cover. We provide a large waterproof and lockable box (with lock) under each tree tent to store your bags. Pillows, blankets, torchlight and towels are provided to make your stay more perfect. 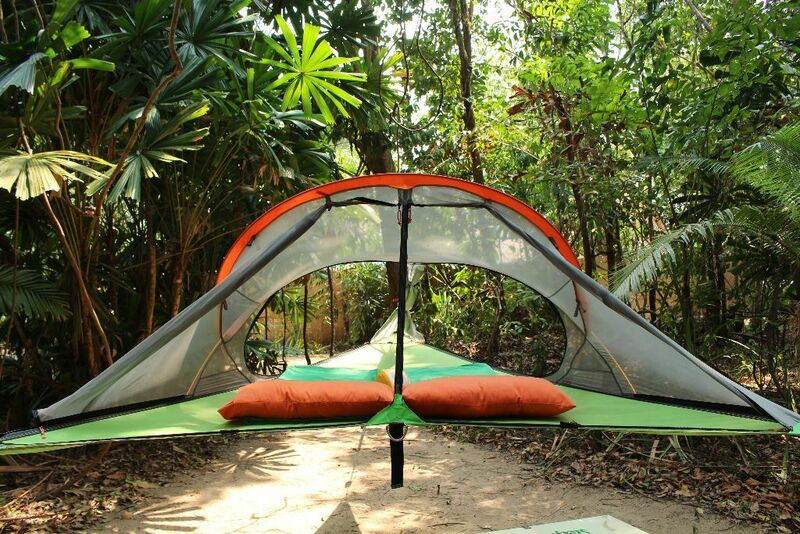 Tents are either 1, 2 or 3 person. 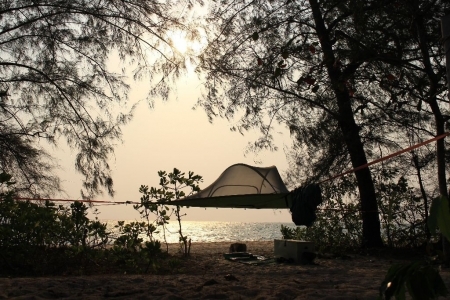 The beach tents are setup right on the beach witch mean less privacy than the jungle tents, but what a view ! A gentle breeze and a nice sunset adds to the experience.